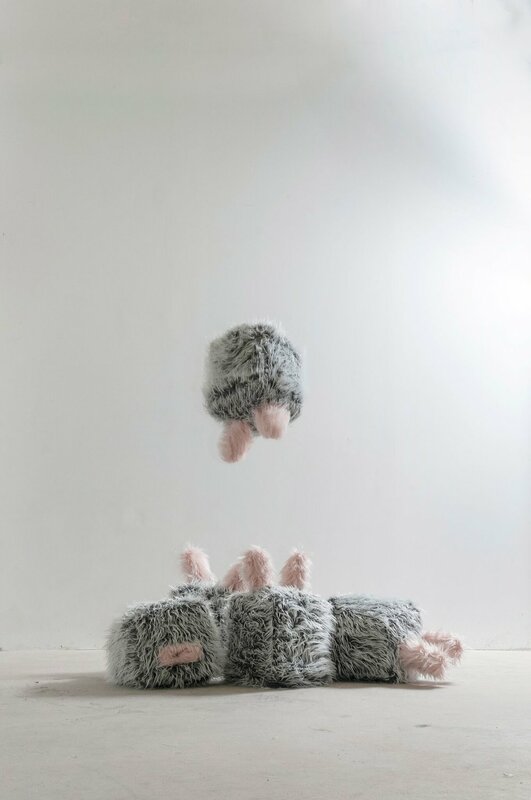 Sophia Sobers is an interdisciplinary artists working in installation, sculpture, and sound. Natural and built environments influence the artist’s practice. Sobers creates immersive, tactile, interactive artwork. She specializes in creating projects which merge disciplines, from architecture, design, and 3D technologies. Sobers is interested in creating experiences which are poetic and meditative. Sophia Sobers is an interdisciplinary artist working in installation, sculpture, and sound. Natural and built environments influence the artist’s practice. Sobers creates immersive, tactile, interactive artwork. She specializes in creating projects which merge disciplines, from architecture, design, and 3D technologies. Sobers is interested in creating experiences which are poetic and meditative. Sobers holds an MFA in Digital + Media from the Rhode Island School of Design and a BS in Architecture at the New Jersey Institute of Technology. She has exhibited her work nationally at such institutions as the On Canal (New York, NY), New Bedford Art Museum (New Bedford, MA), and Westmoreland Museum of American Art (Greensburgh, PA) and has created public art as part of Cherry Blossoms in Winter (Branch Brook Park, Newark, NJ), I-195 Redevelopment Commission (Providence, RI), and Alloy Pittsburgh (Rankin, PA). Her work has been written about in SciArt Center, E-Squared Magazine, Blouin Artinfo, and the Creators Project. Combining organic forms with light and geometric sculpture, Sophia Sobers creates an engrossing environment that invites curiosity. In collaboration with Wallplay, this installation was a continuation of the artist’s experimentation with fabric structures earlier in 2018. At Night this image of the deconstructed sculpture illustrates only a piece of the living work, which involved lights and sound. Created for a 2014 show at Boston Cyberarts, Mutation A-34 combines organic and synthetic forms. In 2018, Sobers began experimenting with sewing fabric structures as an extension of her previous work with soft materials. 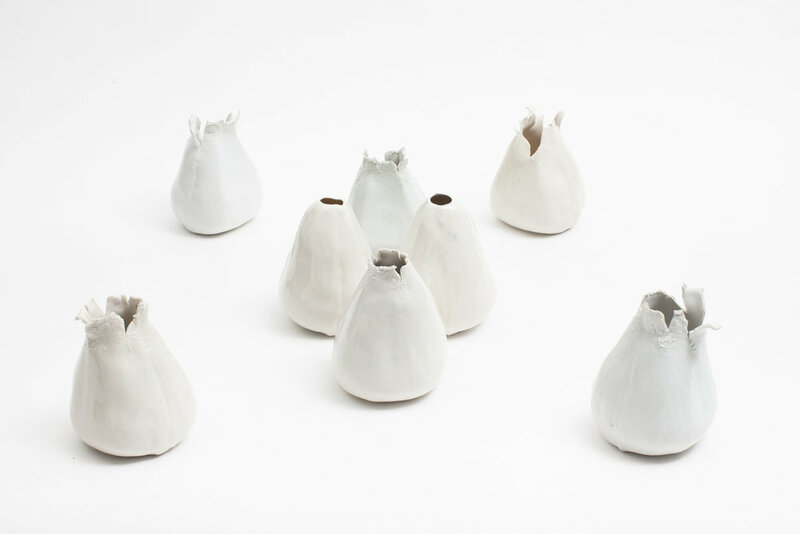 Early in her career, Sophia Sobers completed numerous installation projects using the theme of vessels. This one combined multiple hand-crafted vessel sculptures carefully arranged. Using a combination of soft fabrics, yarn, and lighting, the artist creates an oasis environment with this large-scale sculptural installation. Existing in a retail-level window, this installation consists of numerous paper and fabric sculptures, contrasted with fluorescent lighting.